Fishing for a living on Lake Tanganyika has become a gamble, with the rising costs of fuel and the ever greater distances navigated to catch fewer fish stacking the odds against those working in the industry. At dusk small fishing groups, comprising four one-man lamp boats carried to the fishing grounds aboard a mother boat, leave the port of Mpulungu in northern Zambia and return at dawn. As darkness sets in, the lamp boats are deployed about 50 metres from the mother boat, where they float paraffin-powered lights on the surface, attracting zooplankton that in turn lure schools of pelagic fish, such as buka-buka and kapenta, into ring nets, and the catch is then hauled into the mother boat. The storm that night was anticipated by the fishing crew as it rolled in from the west, but its ferocity was not. The initial squall almost capsized the mother boat, while a hard rain churned the dark water into a white froth. In a few seconds, rain reduced visibility to a couple of metres and the swamped lamp boats disappeared from sight, while the crew on the mother boat clung to whatever was fixed on the open deck and lightning struck the water. The helmsmen struggled for 30 minutes or more to start the outboard motor and turn the bow into the rising swell, but the spluttering engine signalled an end to a fishing trip that had managed to catch only enough fish for a single meal for the crew. The next day about 40 fishermen were missing, but it was thought the storm wind had blown the boats and their crews to the shores in a neighbouring country. Four countries border Lake Tanganyika - Democratic Republic of Congo (DRC), Zambia, Burundi and Tanzania - and share territorial jurisdiction of the world's second largest fresh water lake by volume. Davidson Syapila told IRIN that he started fishing a couple of years ago, when he bought a mother boat, four auxiliary boats with lamps, a reconditioned outboard engine and ring nets, and had repaid the US$2,000 price from catches of kapenta (Stolothrissa tanganicae) and buka-buka, a species of Nile perch, in a few months. Syapila takes 50 percent of the catch to pay for the boats, diesel, paraffin fuel, ring nets, fishing licences and other costs, and the proceeds from the remaining half are split among the crew. "If we catch nothing, then we are paid nothing," he said. 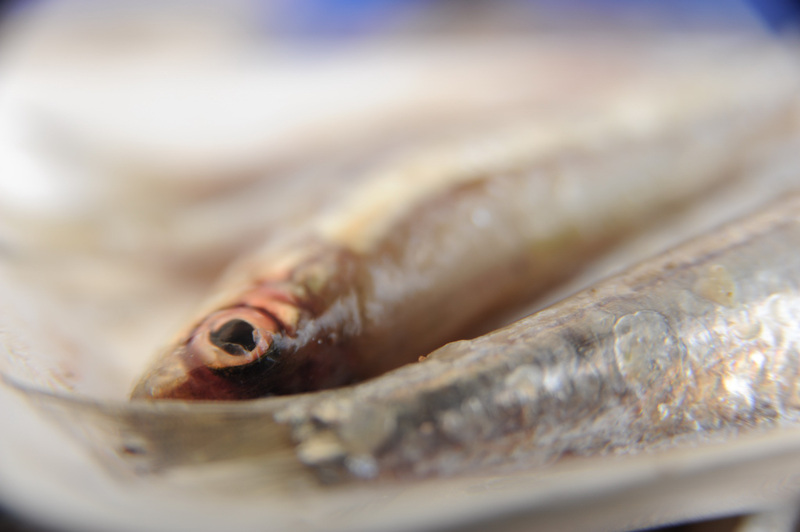 The general consensus among local fishermen, the Zambian fisheries department and commercial fish packaging firms is that there are "good and bad years", and fish stocks are declining, but there is no agreement on why. Unlike other Zambian lakes, where fishing is restricted from December to February, there are no limitations on fishing in Lake Tanganyika, and the season is determined by other factors. Using lamp boats prevents fishing when the moon is active, so crews only go out on about 17 days each month, weather permitting. Large-scale commercial fishing began in the 1960s in Zambia, a decade after similar operations started in the northern reaches of the lake off Bujumbura, capital of Burundi. Zambian commercial fisheries caught a couple of thousand tons of pelagic fish annually, three-quarters of which were kapenta and the balance Nile perch (Lates niloticus). Commercial fishing operations exported 46.6 metric tons of dried fish from Mpulungu in 2010 and about 74 metric tons of fresh buka-buka, Mpulungu fisheries department told IRIN. Information for industrial exports of fresh kapenta for the year was not available. Stocks of the three large species of Nile perch - the apex predators - soon dwindled, allowing the smallest of the Nile perches, buka-buka, to flourish and become commercially viable, along with two species of kapenta (Limnothrissa miodon and Stolothrissa tanganicae). Millions of people in the four countries with access to Lake Tanganyika rely on it, and it is estimated about 30,000 to 40,000 catch its fish. A baseline survey in the four countries will determine how many earn a living from the lake and the types of fishing equipment they use, so as to establish uniform regulations and practices. Daniel Sinyinza, a biologist at the department of fisheries, told IRIN that buka-buka used to be caught throughout the year, "but this started changing in the mid-1990s and now between April and October you don't get buka-buka any more." Lake Tanganyika is regarded as one of the world's most biologically diverse lakes and reaches depths of about 1,470 metres, making it the second deepest after Lake Baikal in Siberia. Its waters are stratified with cold bands, a feature of tropical lakes, but below about 250 metres the water is anoxic - devoid of oxygen. In May, June and July, the southeasterly "kapata" wind blows across the lake, causing "upwelling". This mixes some of the water layers and forces algae into the oxygenated water, which zooplankton then feed off and are in turn are consumed by pelagic fish. During those months the waters turn green, and some have argued that because "buka-buka are a visual predator" they were not active, and that was why the catches tailed off, but this explanation did not address why they used to be caught during this period in the past, Sinyinza said. He said the surface water had warmed by as much as two degrees centigrade since the 1960s, and there were some suggestions that the strength of the kapata wind had also decreased, making it more difficult for the lake's colder and warmer layers to mix. The change in fishing patterns led to a different approach - fishing company trawlers were mothballed and local fishing operators became virtually the sole suppliers of commercial freezing and packaging plants in Mpulungu, which export to markets in Zambia’s Copperbelt Province, the capital, Lusaka, and other urban areas. Buka-buka have sold for between $1.60 and $1.80 a kilogramme in 2011, while "in other years it used to sell for about 2,000 [Zambian] kwacha [about $0.42] a kilogramme," Sinyinza said, "Less fish, a higher price." Better prices do not mean greater rewards. Many expeditions end without any profit to pay the fuel costs to fund the next trip, so commercial packaging operations are providing loans to pay for fuel, with a first option on any catches. While large-scale fishing operations using trawler-type vessels all but disappeared as catches diminished and profits declined, companies had invested hundreds of thousands of dollars in infrastructure, cold rooms, and generator systems to compensate for erratic electricity supplies. Some fishing jobs have been swapped for factory jobs. There are plans to build a canning factory in Mpulungu and ship the fish to markets in DRC and Tanzania. Zambia and Burundi hold the smallest territorial claim to the lake, which measures 673km along its north-south axis and has an average width of 50km. DRC controls 45 percent and Tanzania 41 percent, but the focus of commercial activity on the lake is Mpulungu, land-locked Zambia's only port. "The Congo [DRC] is in complete chaos and doesn't have any chance of organizing anything on water," said a commercial fishing operator. "There is no electricity on the Tanzanian side of the lake and Burundi's fishing industry closed down because of over-fishing." One fisheries expert said three-quarters of the fish passing through Mpulungu came from waters outside of Zambia's territorial control. Commercial fish buyers told IRIN they did not ask where the fish came from, and were not compelled to do so. Martin Pearce, a fisheries officer at the Zambia’s department from 1979 to 1991 who still lives in Mpulungu, told IRIN it was important to determine origin to assess fish population levels. "It is very difficult to control fishing when you have human suffering around the lake. You cannot tell a fisherman not to fish... It's important to control fishing, but even the developed world has had poor results [controlling fishing] one way or another." The district fisheries officer Lloyd Hambiya told IRIN research, rather than speculation, would determine fishing stocks, including possible hydro-acoustic surveys, following completion of the baseline survey. "The stocks are dwindling but we need to establish the actual factors leading to that. We need more research," he said. A commercial fishing operator told IRIN that "2008 through to 2010 were good years, but 2007 wasn't, and neither is 2011. If fish stocks dried up tomorrow, the whole of Mpulungu would have to be moved." There are fishing regulations, like a minimum net mesh of 8mm, and a ban on using mosquito nets for fishing, using beach seines, or ring nets from the shore, and “kuntumpuloa”, the practice of chasing fish into nets by banging the surface of the water. The widespread use of mosquito nets destroys future fish stocks, as the small mesh allows nothing to escape. "A man came the other day with crates of undersized fish and tried to sell them to me," a manager at a commercial packaging plant told IRIN, "but what I am going to do with it? All I see in the crate is less fish for next year." Commercial operators supply markets that demand adult buka-buka and full grown kapenta - about the size of sardines - but size is not a consideration at Mpulungu's Ngwenye market and undersize fish are routinely sold. Lousebo Anamunda, a fisheries officer in Mpulungu, told IRIN that in 2010 more than 20 people were prosecuted for fishing without licences or using illegal fishing techniques. 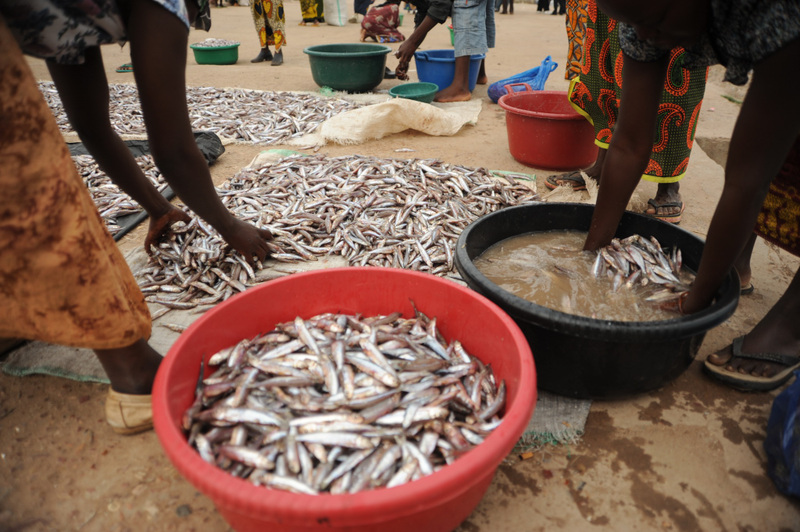 The cost of fishing licences varies from 20,000 kwacha ($4.20) to one million kwacha ($212) per year and commercial packaging operations are charged a levy of 330 kwacha ($0.07) per kilogramme. Anamunda told IRIN that only six of the 10 positions in the department at Mpulungu were filled, and their only boat to carry out enforcement of fishing regulations did not have a "very reliable" engine. The boat checks on regulation compliance about one day a month, and officers visit communities about two weeks of the month to inform villagers of legal fishing techniques and conservation methods. A backlog in license payments meant the boat "may go out for four days of a month" to ensure that licenses had been paid, she said. The department had established a conservation committee staffed by volunteers to do spot checks to ensure that undersize fish were not being sold at Ngwenye market, but it was suspended in late 2010. Anamunda said the unpaid volunteers "were issuing spot fines to offenders rather than confiscating the illegal [undersize] fish so offenders could be prosecuted... and the fines were not given to fisheries either." "I don't have any statistics for this year yet," she said. "But by the look of things it is bad."